"Alfred. Gordon. Lucius. Bruce . . . Wayne. Names that have come to mean so much to me. Today, I’m three weeks from saying a final good-bye to these characters and their world. It’s my son’s ninth birthday. He was born as the Tumbler was being glued together in my garage from random parts of model kits. Much time, many changes. A shift from sets where some gunplay or a helicopter were extraordinar...y events to working days where crowds of extras, building demolitions, or mayhem thousands of feet in the air have become familiar. People ask if we’d always planned a trilogy. This is like being asked whether you had planned on growing up, getting married, having kids. The answer is complicated. When David and I first started cracking open Bruce’s story, we flirted with what might come after, then backed away, not wanting to look too deep into the future. I didn’t want to know everything that Bruce couldn’t; I wanted to live it with him. I told David and Jonah to put everything they knew into each film as we made it. The entire cast and crew put all they had into the first film. Nothing held back. Nothing saved for next time. They built an entire city. Then Christian and Michael and Gary and Morgan and Liam and Cillian started living in it. Christian bit off a big chunk of Bruce Wayne’s life and made it utterly compelling. He took us into a pop icon’s mind and never let us notice for an instant the fanciful nature of Bruce’s methods. I never thought we’d do a second—how many good sequels are there? Why roll those dice? 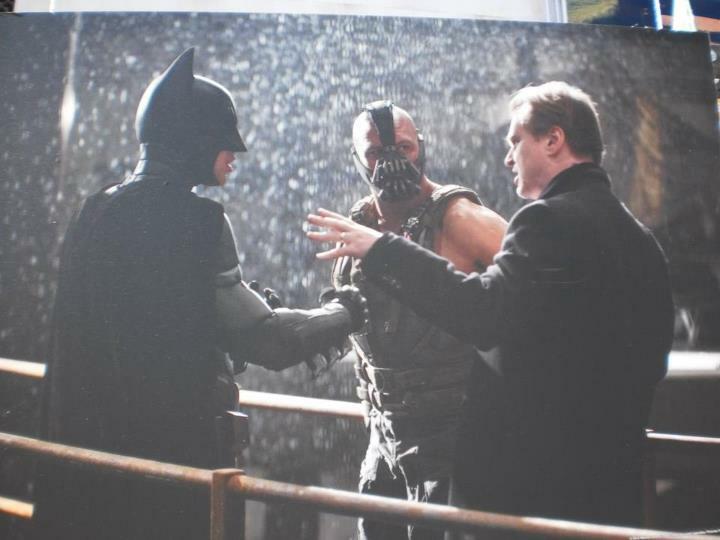 But once I knew where it would take Bruce, and when I started to see glimpses of the antagonist, it became essential. We re-assembled the team and went back to Gotham. It had changed in three years. Bigger. More real. More modern. And a new force of chaos was coming to the fore. The ultimate scary clown, as brought to terrifying life by Heath. We’d held nothing back, but there were things we hadn’t been able to do the first time out—a Batsuit with a flexible neck, shooting on Imax. And things we’d chickened out on—destroying the Batmobile, burning up the villain’s blood money to show a complete disregard for conventional motivation. We took the supposed security of a sequel as license to throw caution to the wind and headed for the darkest corners of Gotham. I never thought we’d do a third—are there any great second sequels? But I kept wondering about the end of Bruce’s journey, and once David and I discovered it, I had to see it for myself. We had come back to what we had barely dared whisper about in those first days in my garage. We had been making a trilogy. I called everyone back together for another tour of Gotham. Four years later, it was still there. It even seemed a little cleaner, a little more polished. Wayne Manor had been rebuilt. Familiar faces were back—a little older, a little wiser . . . but not all was as it seemed. Gotham was rotting away at its foundations. A new evil bubbling up from beneath. Bruce had thought Batman was not needed anymore, but Bruce was wrong, just as I had been wrong. The Batman had to come back. I suppose he always will. Michael, Morgan, Gary, Cillian, Liam, Heath, Christian . . . Bale. Names that have come to mean so much to me. My time in Gotham, looking after one of the greatest and most enduring figures in pop culture, has been the most challenging and rewarding experience a filmmaker could hope for. I will miss the Batman. I like to think that he’ll miss me, but he’s never been particularly sentimental." Que bueno.... Que hito se marca en el Cine de esta época. Esta trilogía la recordaremos como se recuerdan la expectación de las de Matrix o el Sr de los Anillos... Pero mejor, mucho mejor. Que nuevo nos deparará Nolan? le pasaremos todo por el mismo rasero a partir de aqui? Que viaje tan maravilloso ha tenido que ser realizar estas 3 peliculas, sabiendo que no solo estas haciendo un cine de entretenimiento, sino un cine...perdon.. un CINE de calidad superior. "My time in Gotham, looking after one of the greatest and most enduring figures in pop culture, has been the most challenging and rewarding experience a filmmaker could hope for. I will miss the Batman. I like to think that he’ll miss me, but he’s never been particularly sentimental". "he’ll miss me, but he’s never been particularly sentimental". Bueno, en el fondo es un sentimental, pero JAMÁS deja que se le note. Gotham, la ciudad oscura. Un pedazito de infierno en la tierra. Donde los payasos son villanos y las criaturas oscuras son campeones dispuestos a luchar por los débiles e indefensos. Las palabras de Nolan han sido tremendamente emotivas. Las escribió como prólogo de un libro que está a punto de salir y cuyo título es "The art of the Dark Knight Rises" en el que se muestran concept arts y diseños de preproducción del film. Sobre lo pr´ximo de Nolan se rumorea que tiene un proyecto para hacer un biopic de los últimos años de Howard Hughes. En cualquier caso, todo lo que pase por sus manos llevará un inconfundible sello de calidad. Y Xavi, que gran frase final la que has escrito en tu comentario sobre Gotham. Acertadísima y contundente. Meg, bienvenida al blog. Yo también me he hecho seguidor de tu bitácora. Nos leemos !!! Fans of Christopher Nolan’s “Dark Knight” trilogy films might wonder where the insane criminal mastermind ‘The Joker’ had scampered off to when prisoners were freed from the newly constructed Blackgate Prison in Gotham City. Well, the novelization of “The Dark Knight Rises” may shed some light on the Clown Prince of Crime’s whereabouts. Scheduled to be released today on-line and in bookstores, the 415 page The Dark Knight Rises: The Official Novelization by author Greg Cox delves into the Jonathan and Christopher Nolan screenplay a little closer. Original rumors had Heath Ledger’s Joker make a cameo via unused footage from 2008′s “The Dark Knight,” but it panned out as such. Warner Bros. Studio later confirmed it was just a rumor. Cox provides better details and lets fans know about the shady and ambiguous fate of the Joker. Here is the exact quote from the novel . Remember Selina Kyle (Catwoman) was held at Blackgate Prison for a short time. By using her feminine wiles, she would have had ample opportunity to find out from other inmates the location or whereabouts of the Joker. 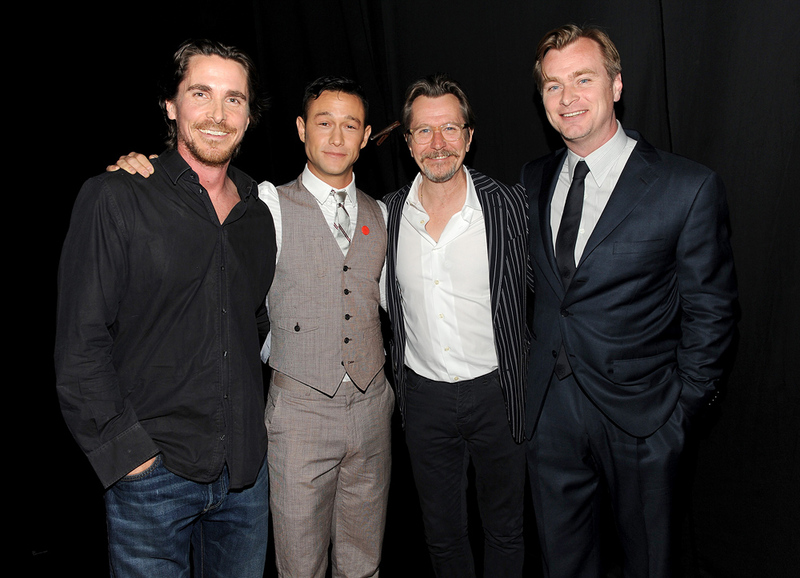 By applying this form of punishment to Nolan’s Joker, there would be no one to talk to or play with. Thus, driving the ‘Man Who Laughs’ completely insane."